The mountainside monastery honors the patron saint of the Kefalonia. Dating from the 16th century, it is considered a sacred pilgrimage site. Along with its namesake’s tomb, the monastery features the cave where Gerasimos lived for five years upon his arrival from Jerusalem. The priory hosts an annual festival that celebrates his work. Named for the Apostle Andrew, the Byzantine-era monastery features frescos and paintings, including one of Roxanne, the Greek Romanian princess who chose to become a nun. The nunnery houses other religious icons and artifacts like embroidered vestments, handwritten epistles and the remains of the right foot of the Apostle Andrew. Situated atop a hill overlooking the Bay of Simi, the monastery offers incredible ocean views. Two shepherds established the abbey on the site where they discovered a miraculousn icon of the Virgin Mary in the early 18th century. This religious relic is incorporated into a larger image of Jesus’ mother revered by locals. The nunnery is renowned for the annual appearance in the churchyard of non-venomous snakes with black crosses on their heads. Their arrival each August relates to a local legend dating from medieval times. Residents touch the small reptiles for good luck. The oldest monastery on the island, this historic abbey has been rebuilt numerous times. Built during the Byzantine era, the culturally significant monastery sits atop Mount Atros. The trek up the mountainside offers magnificent views of Poros and its delightful harbor. Founded in the 13th century and overlooking Lourdas Beach, the abbey featured frescos and icons from famous artists. The devastating 1953 earthquake that hit the island destroyed the abbey. The ruins are adjacent to a newly constructed monastery. Dating from 1096, the abbey is one of the oldest religious sites on Kefalonia. 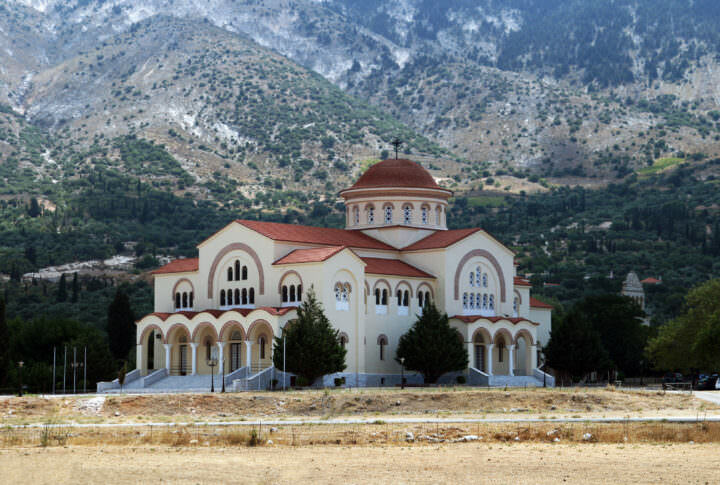 Located on the slopes of Agia Dinati Mountain, the monastery is surrounded by a large pine forest. The pristine natural setting affords amazing views of the eastern shoreline and nearby Ithaca Island. Situated on the Paliki Peninsula, the abbey provides wonderful views of the Ionian Sea and the island’s rugged coastline. It is a prime spot for enjoying colorful sunsets. The monastery, surrounded by lush forests of pine and fir trees, houses a collection of ecclesiastical relics and post-Byzantine period icons. 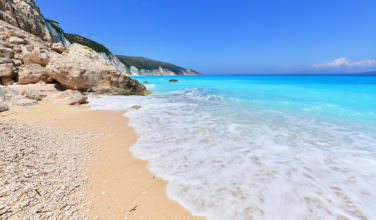 There are plenty of things you can do on the island of Kefalonia. When you aren’t eating a great meal, seeing the sites, lounging at the beach, or simply relaxing in the sub, you should consider visiting one of these monasteries.